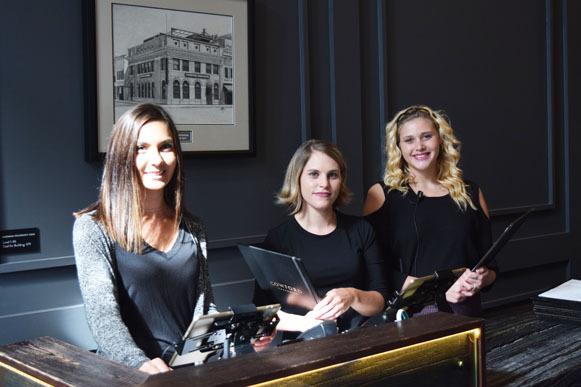 HomeUrban TravelerCowford Chophouse is the House! 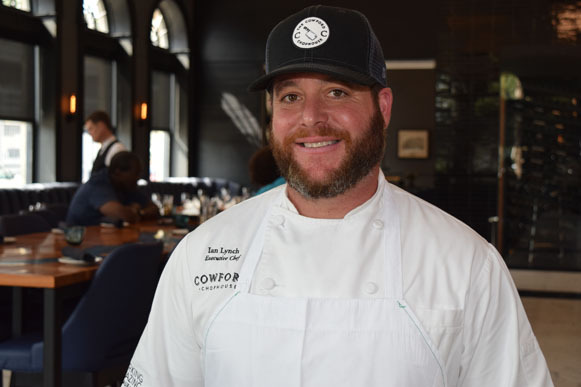 The name “Cowford Chophouse” is a nod to the original name of Jacksonville, given in honor of the narrow point in the St. Johns River where settlers would ford the river with their cattle. 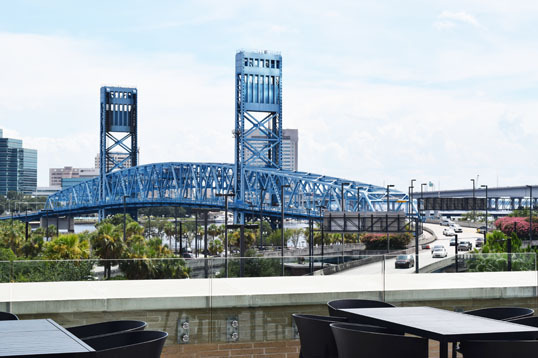 Today, guests can gaze across that same river to enjoy Southbank skyline views from Downtown Jacksonville’s only steakhouse and rooftop lounge. 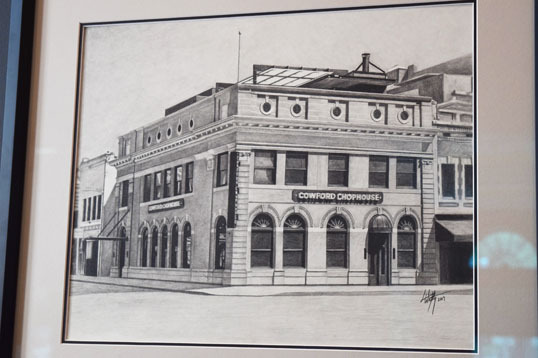 The Cowford Chophouse was built on a father’s love of family, style and history. After the great fire of 1901, the building was restored in 1902 and was empty for over 50 years. The building opened first as the rebuilt First National Bank of Florida. It would later house the Guaranty Trust and Savings Bank, the Brotherhood State Bank for Savings, and several professional offices, including the office of famed architect Henry John Klutho. 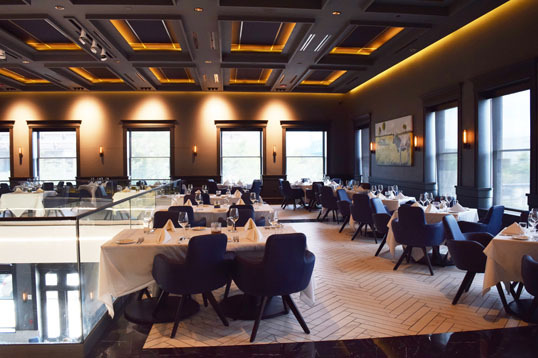 In stepped Jacques Klempf who began renovating the Chophouse with familiar and intricate pieces of the past. 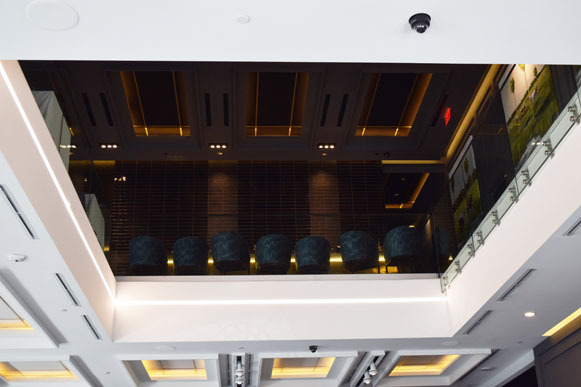 When you walk into the foyer, the ambiance and atmospheres bites you in the face. 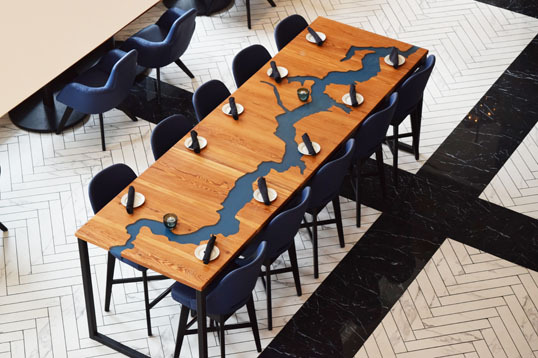 You are immediately impressed and sure that your reserved dining table will be accompanied by kings, queens, and executives. 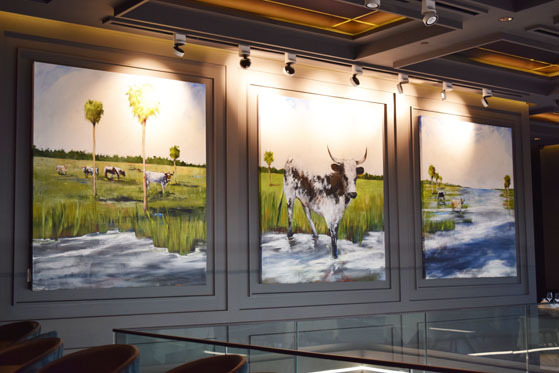 The décor is blue and gray with expansive original paintings of cows grazing in the grass throughout the building by artist Jim Draper whose jaguar mural once spanned across the buildings boarded up windows. 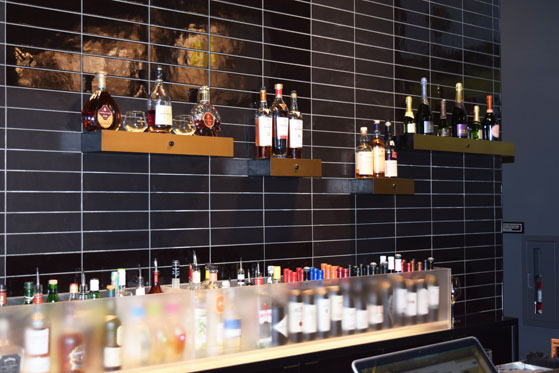 Tour guide Alexandria Klempf, Jacques daughter proudly provided a tour of the restaurant that boasts a rooftop bar and safe deposits boxes that double as shelves for the second level bar area. 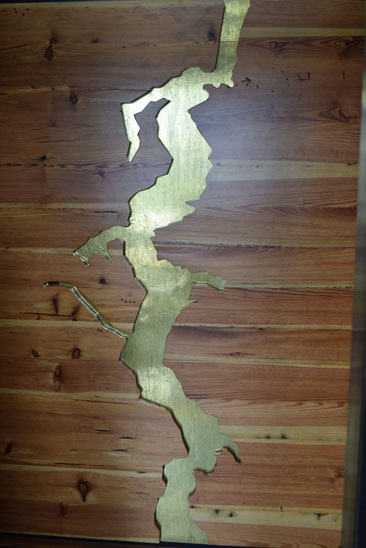 Photos line the stairwell detailing the trinkets recovered in the bank during renovation. 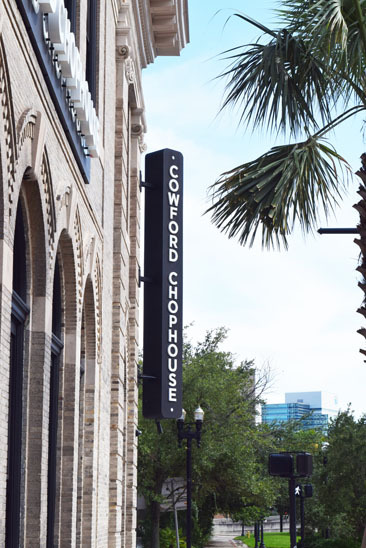 According to their website: Jacques Klempf, a Jacksonville native and owner of the Cowford Chophouse, purchased the building at 101 E. Bay Street at auction in 2014. 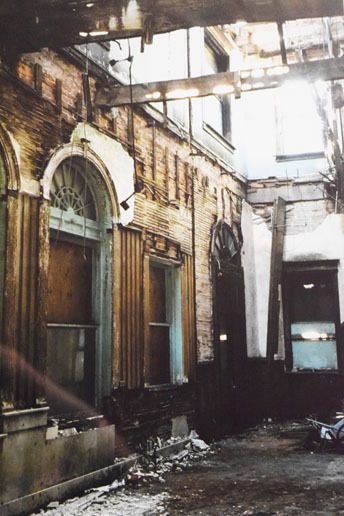 The building had suffered significant structural damage from years of neglect, but Klempf saw potential — not just for the historic landmark, but for its surrounding area. 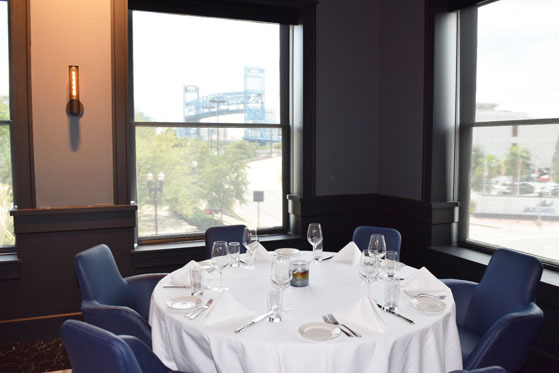 Restored elements include the historic arched windows, exterior bricks, metal cornice, and 300-year-old heart of pine lumber that is seen throughout the building today. 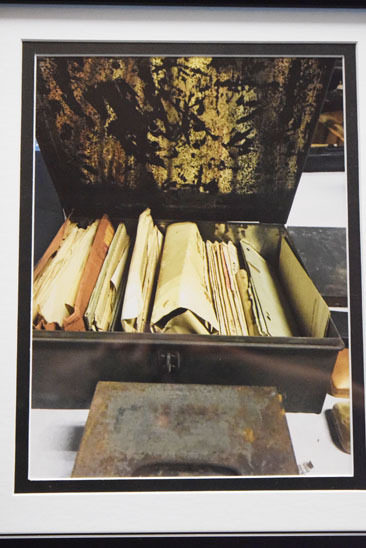 Additional artifacts recovered during the renovation were donated to the Museum of Science and History (MOSH) as The Cowford Collection. 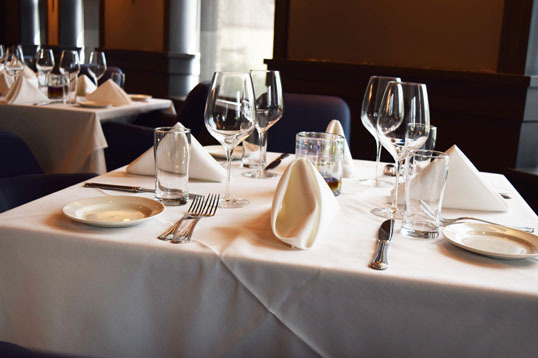 Although the history of the building is compelling, the menu was the star of the show. First up were the signature cocktails the ‘DCOOP D’état’ with la caravedo pisco, flor de caña 12-year aged rum, pineapple juice, rosemary syrup, lime juice, rosemary and peychaud’s bitters and the classic margarita cocktails. The smiling waitress continues the foodie tour with delectable appetizers: Fried fish and oysters nuggets house-smoked salmon, lemon & herb cream cheese, dill, local radish & pea tendrils and grilled baguette with topped with salmon toast. 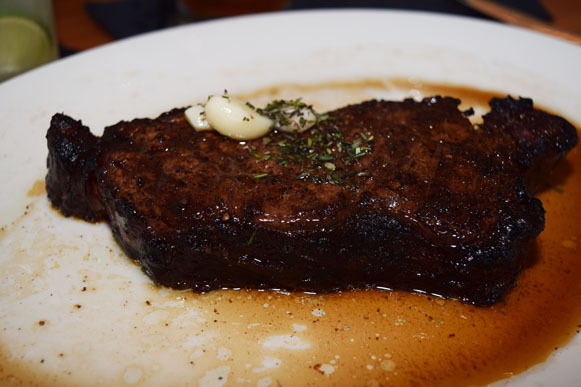 Sitting and chit chatting, permeating entrees arrived to the table delivering a flavorful and mouthwatering NY Strip Steak cooked to perfection with a sprinkle of au jus robustly seasoned taking over the palate of your mouth. 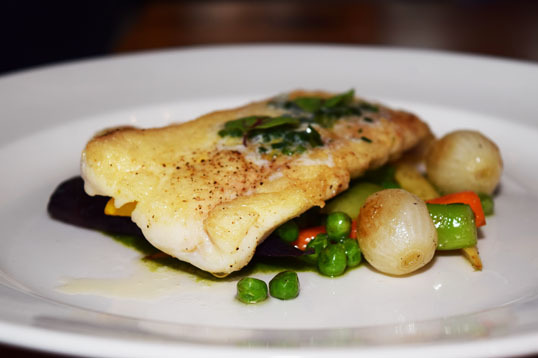 The fish of the day was surrounded by peas, carrots and pearl onions. 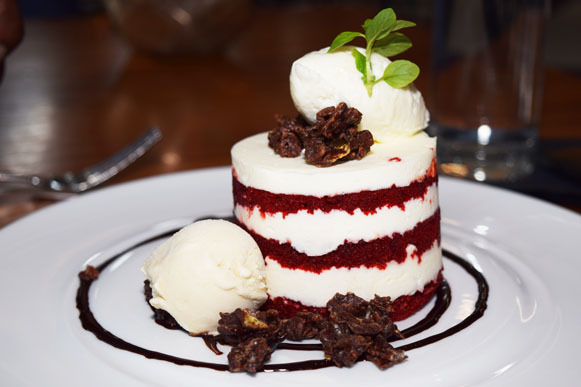 Seconds into the final devoured morsel, dessert came in the colors of a mellow blueberry crisp and red velvet cake. 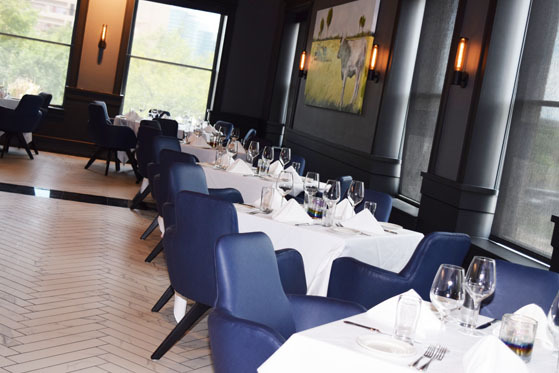 Wiping the corners of my mouth, catching a glimpse of the décor, Cowford Chophouse is definitely a é éééé star restaurant. 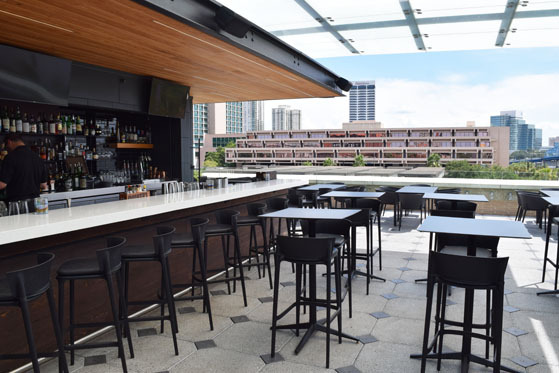 Plan your visit today and relax and enjoy rooftop bar for their wine down happy hour specials! 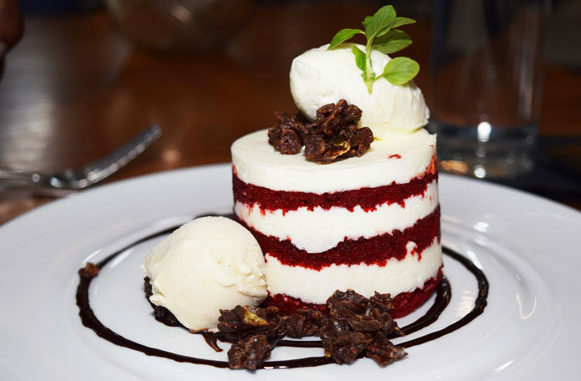 Mellow and refined, Cowford Chophouse will always be on your mind! 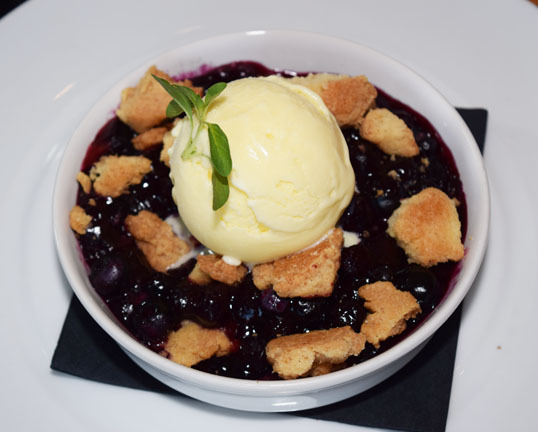 For menu options and more visit www.cowfordchophouse.com.